Awhile ago I bought a couple of skeins of Pastry yarn by Artful Yarns. 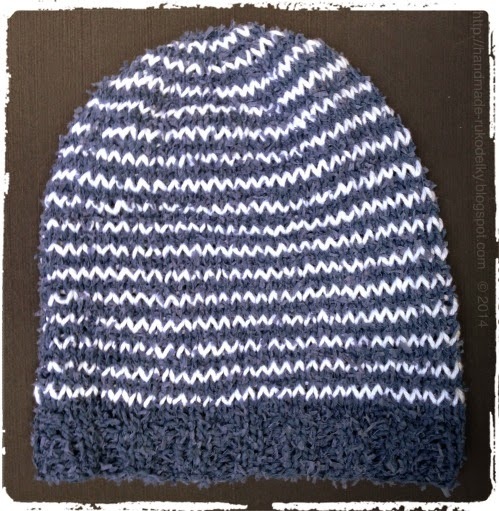 The other day I was going through my stash (my husband rolls his eyes when he sees my yarns - what can I tell you when I look at a yarn I picture what I want to make from it, and off it goes home with me LOL) and I decided that it is time to make a hat from that skein. I was trying to use a couple of lacy patterns while knitting, but it was not coming out well. I took it apart about three times, sigh. So, off I went back to my stash and pulled out another cotton yarn "Sugar n' Cream" in white color. And decided that alternating stripes will look the best. I think that two rows of the textured steely color was very nicely paired with one row of the "smooth" white one. I like the outcome. And do I need to tell you that it is fairly easy to knit? This Pastry cotton yarn is kind of "drape-y" (it drapes well), so it is perfect for slouchy hats, IMHO. This pattern is only for personal use. 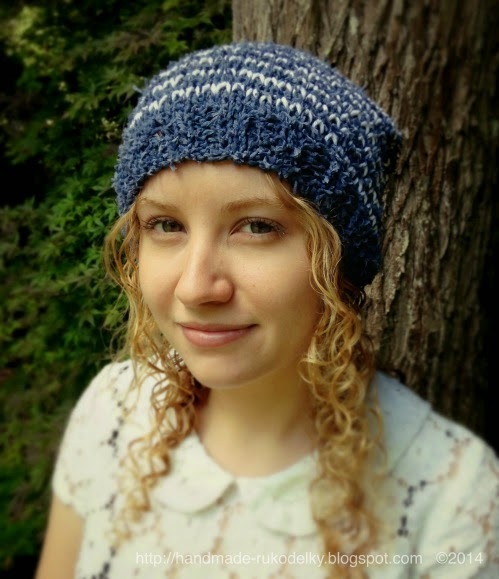 You can sell the hat(s) if you will knit it using this pattern. 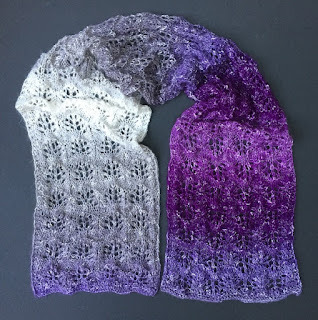 And YES, you can share it with your knitter friends and if you make any items using my patterns, do not hesitate to share your FOs (finished objects). 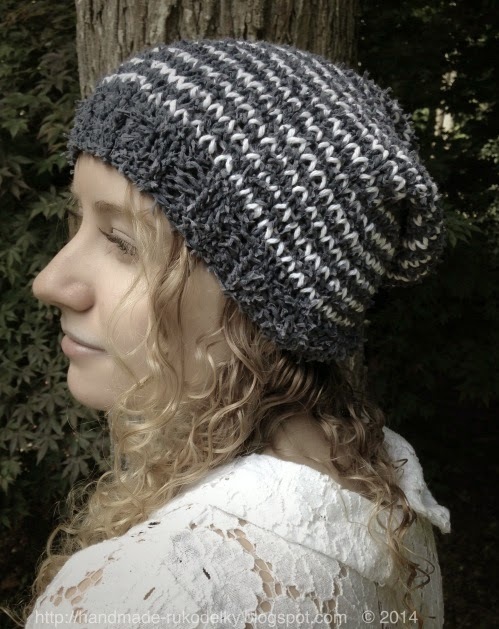 The height of this hat is 10"
Side view of the "Slouchy"
BO by using a hook - pull last knitted stitch through all 15 stitches and secure with a slip stitch. Weave in all the ends.